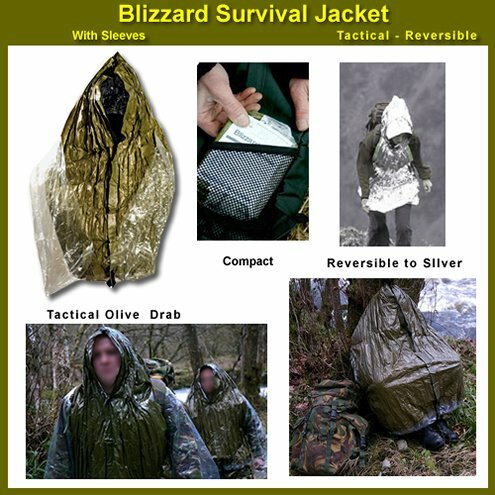 The Very Best in Survival Insulation: The Blizzard Survival Jacket is a unique survival tool with a small packed size. A thigh-length, 3 cell, core insulator with a hood, made from Reflexcell (tm) material, it enables the wearer to be protected and re-warmed while remaining completely mobile. Warm enough for the coldest conditions, and unlike lighter products, does not easily tear or blow away. Size (packed): 4.5 in. x 6 in. 1.75 in. Color: Olive Drab (Reversible to Silver for high visibility and signaling). 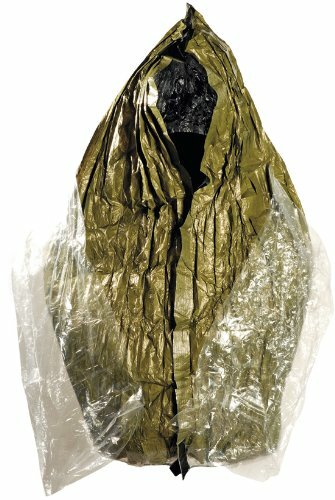 Large extended hood protects against wind and rain, and helps insulate the head.